Happy #GivingTuesday! Today is the fourth annual global giving event to counteract Black Friday and Cyber Monday. #GivingTuesday challenges individuals and communities to make the world a better place through generosity. Last year, over 45 million dollars were donated on #GivingTuesday! The simple act of giving not only helps others, but also nourishes a generous community spirit. 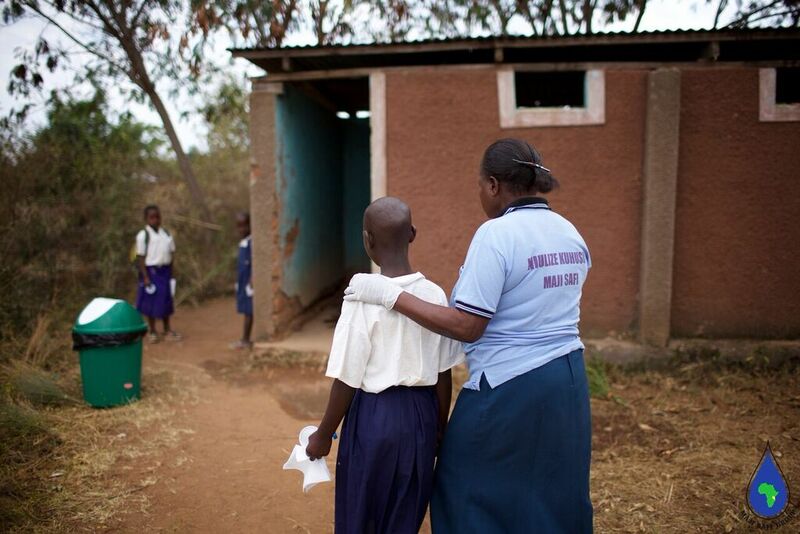 Community Health Worker Judith Mbache taking a female student to collect urine and stool samples for the laboratory. This year, Maji Safi Group is raising money for our 2016 Health Screening Program that will test participants for four common waterborne and water-related diseases. For only $3.30 per person, you can give Maji Safi Group’s participants the #GiftofHealth this holiday season! Health is our greatest wealth, and by preventing disease, people are better able to reach their full potential and improve their communities. Join the #UNselfie global community and donate to Maji Safi Group today for #GivingTuesday! Click the donate button to contribute via PayPal from our website!